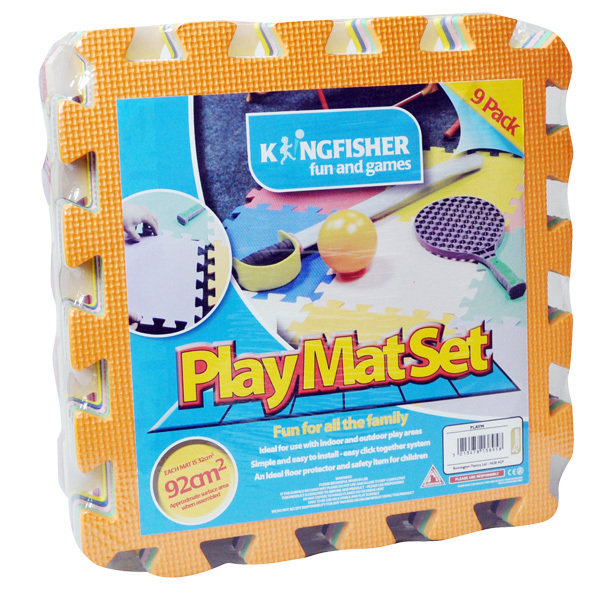 9 piece play mat set. 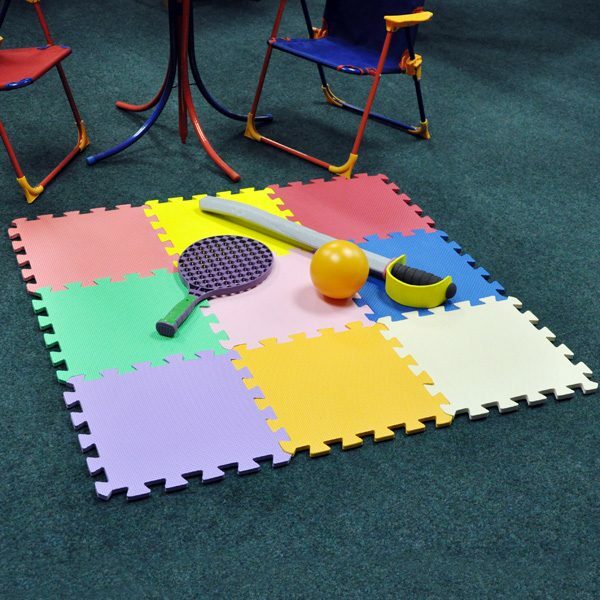 Nine interlocking multi coloured EVA foam tiles each measuring 29cmx29cm and provides extra protection to surfaces and children. Suitable for children aged 3 and over.